In this undated family photo provided by the U.S. Army, Pvt. 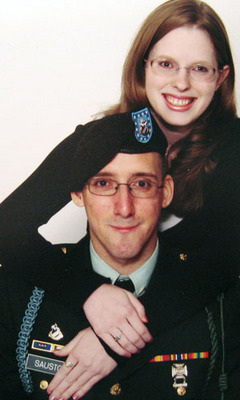 Anthony J. Sausto, of Hamilton Township, New Jersey, is shown with his girlfriend, Carli, who was only identified by her first name. 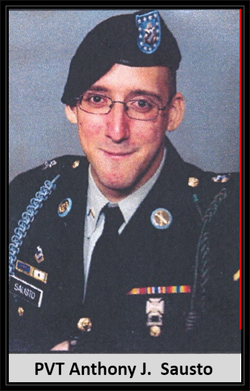 Sausto, who was based at Fort Lewis, Wash., was killed May 10, 2007 by small arms fire in Baghdad, Iraq. ​Hometown: Somers Point, New Jersey, U.S.
Died: May 10, 2007 in Operation Iraqi Freedom. Unit: Army, 1st Battalion, 38th Infantry Regiment, 4th Brigade, 2nd Infantry Division, Fort Lewis, WA. Private 1st Class Sausto of Somers Point, New Jersey attended Oakcrest High School and always had aspirations to be in the military. He had been in the Army for eighteen months and had just been deployed in March. While his time in the service was brief, Sausto's dedication and sacrifice will continue to be monumental in the eyes of those who knew him best. The youngest of three children, he was a shy late bloomer who only came into adulthood once he enlisted. As a teenager in New Jersey, he was an active member of the Mainland Baptist Church, attending services regularly and taking part in summer camps. He was 22. After dropping out of high school and toiling in modest jobs, Anthony Sausto thought he'd found his future -- in the Army. He talked about becoming a sniper, or maybe entering the Army's legal affairs branch, family members said. Having earned his GED, Sausto was eager to learn new skills and dreamed of moving up the ranks and building a career in the military. "He loved (the Army). He found his calling in it and felt like this was something he should be doing," his sister-in-law, Mary Olivo-Sausto, of Absecon, said yesterday. "This was what he was going to do for the rest of his life. This was his dream." That dream was cut short last Thursday, when Sausto, a 22-year-old private, was killed by small-arms fire in Baghdad, just two months after arriving in Iraq. The Somers Point native, who went to high school in Mays Landing, Atlantic County, is at least the73rd service member with ties to New Jersey to be killed in the war, and third in the past week. Staff Sgt. Vincenzo Romeo, 23, of Lodi, and Sgt. Sameer A.M. Rateb, 22, formerly of Woodbridge both died last Sunday. Funeral services were held yesterday for Romeo. 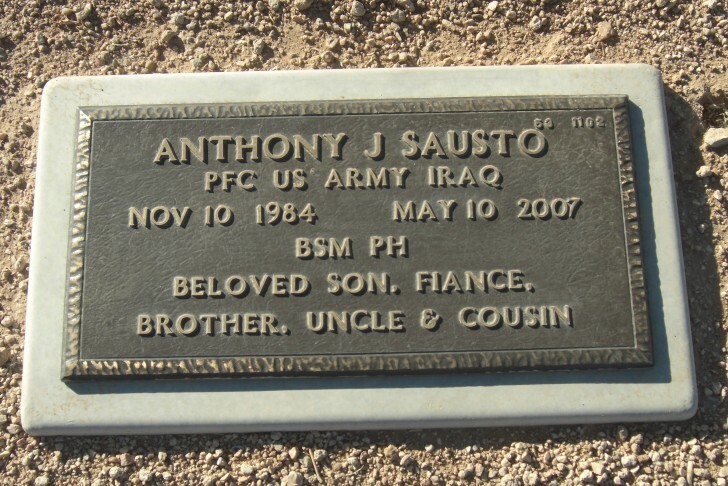 The youngest of three siblings, Sausto enlisted in the Army in February 2006, a few months after moving from New Jersey to Arizona to be closer to his mother and older sister. He was a member of the 1st Battalion, 38th Infantry Regiment, 4th Brigade Combat Team, 2nd Infantry Division, and was stationed at Fort Lewis, Wash.
A shy, skinny kid, Sausto returned from boot camp last spring bulked up and brimming with confidence. He already knew he'd soon be shipping off to Iraq, but was enamored with his new Army life and didn't seem worried about the risks overseas, his sister-in-law said. 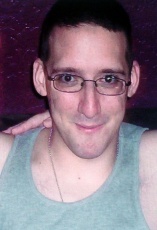 "He was the happiest he'd ever been in his life, no regrets," Olivo-Sausto said. "He wasn't hesitant at all. You're always scared to go, but he didn't have a feeling that something was going to happen." Even after touching down in Iraq, Sausto's letters home were light and funny. He talked about playing volleyball with the guys on base and "getting buff," a humorous thought to relatives who still remembered the scrawny kid from Oakcrest High in Mays Landing. He asked for pictures of his nieces and nephews and said "he was learning a lot about himself," Olivo-Sausto said. News of his death shook the congregation at Mainland Baptist Church in Galloway Township, where the Rev. Dean Bult remembers Sausto as a "caring, compassionate, cooperative young man." He was devoted to the congregation, Bult recalled, attended services three times a week and went on church retreats and to its summer camp. By joining the congregation and being born again at age 14, Bult said Sausto showed he "wanted to be with the right kind of crowd and people." Though he didn't know Sausto had enlisted in the military, Bult said the congregation was proud of the sacrifice he made. "We're very proud of him. A lot of your people his age die for the wrong reasons. He was fighting against terrorism around the world," Bult said. Olivio-Sausto said relatives were still finalizing funeral arrangements, but would likely bury Sausto in Arizona. A New Jersey memorial service is being planned as well, she said. In addition, she said that a brick was going to be dedicated to Sausto at the Somers Point VFW post on Memorial Day.